Negba’s pilot “Bogrim” program launched in 2017 to prepare pre-teens for the demands of middle school. 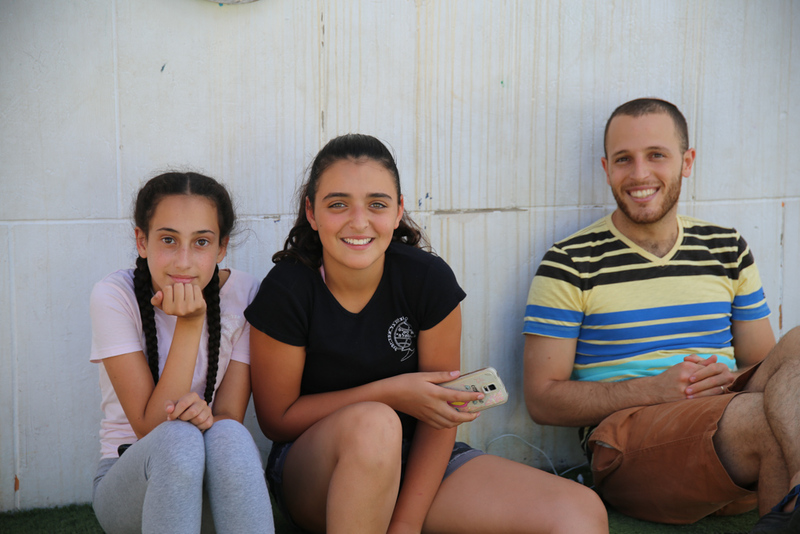 The program commenced last Spring in the Kiryat Menachem neighborhood and is the first of its kind in Jerusalem. The move from elementary school to middle school brings with it physiological, social, academic and emotional changes. This transitional period is a perilous one; and unprepared pre-teens from underprivileged families will find themselves in a large and unfamiliar environment and at extremely high risk of dropping out of school. Mia and the other 22 participants, many of whom are children of old and new immigrants, come from the three primary schools in Kiryat Menachem. The program is held on the premises of the Guatemala School and operates 3 afternoons a week for approximately 4 hours each day. It includes a Learning Center for instruction in math, Hebrew and English, weekly private consultation time for each pre-teen with a social worker, and informal social and cultural activities. Set to begin its second year this coming September, the Bogrim program enjoys the support of the Jerusalem Municipality, which decided to partner with Negba again in the same neighborhood as a result of the established success of Negba’s After-School Home for children ages 7-11 in Kiryat Menachem since 2011. But it’s not just the positive sentiments of the Bogrim program’s participants that demonstrate its effectiveness; the first year evaluation data indicate it as well. 94% of participants felt the program prepared them for middle school, and 95% improved in one academic subject with which they struggle. 86% of participants felt they possessed increased self-esteem as a result of the program. Given the Bogrim program’s achievement, in September 2018 a third group of 15 new grade 6 pre-teens will be added to the program. In total, the program will serve about 35 pre-teens from grades 6 through 8 in the coming school year. Additional pre-teens and parents have asked to join the program, which is currently limited due to lack of space. But the neighborhood’s residents are now well informed about the academic benefits of the program and the social benefit for the participants.